Universal application, high aperture objective lenses, reliable design. Porro prism. Magnification: 10-30x. Objective lens diameter: 50 mm. 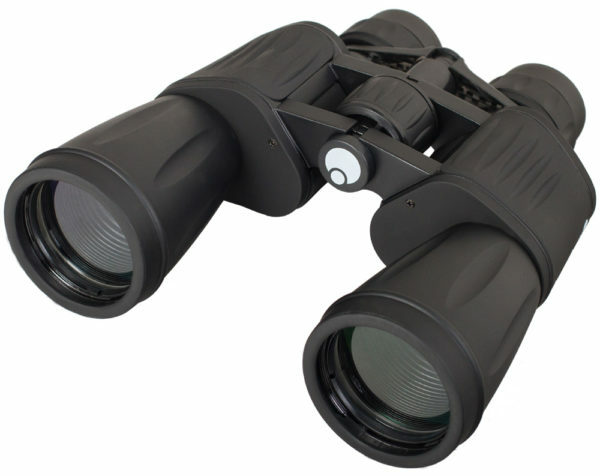 Levenhuk Atom 10-30×50 Binoculars are a multipurpose optical device for use in any situation. 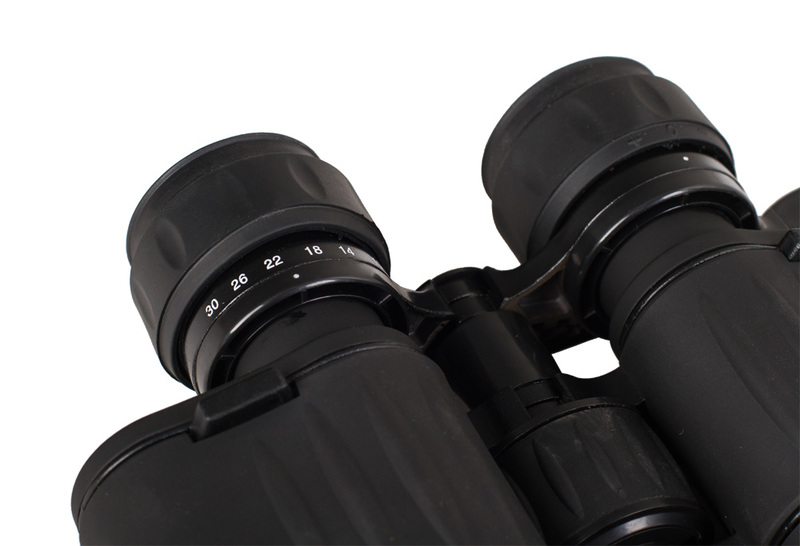 The model features variable magnification from 10x to 30x – that means when you catch an object in the field of view, you can easily bring it closer in to see all the details. High aperture objectives with 50-mm diameter produce bright images both in daylight and at dusk. The binoculars are distinguished by an exceptional design and quality construction. Thanks to the Porro prism design, the extent of light loss inside the binoculars’ body is reduced to zero. All optical elements are fully coated for even better light transmission. 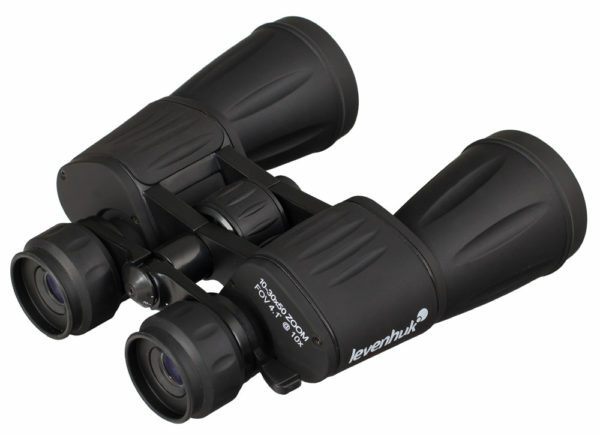 With Levenhuk Atom 10-30×50 Binoculars images will always be clear and sharp, with accurate natural colors! One more obvious advantage of this model is its highly convenient design. The interpupillary distance has an adjustment range of 56 to 72 mm, and the right eyepiece is equipped with a diopter adjustment ring. Soft rubber eyecups ensure maximum comfort during observations. The rubber coating of the shell softens impacts and prevents moisture, dirt, or dust from entering the instrument. 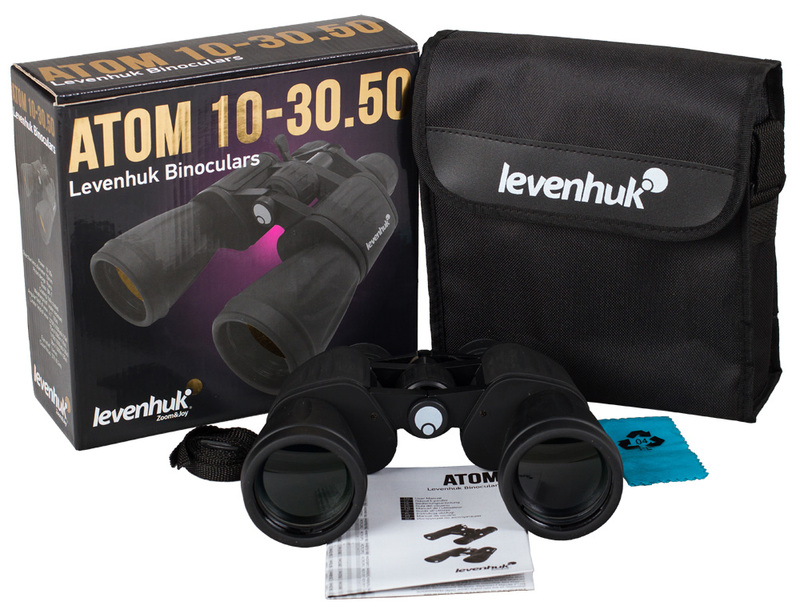 Levenhuk Atom 10-30×50 Binoculars can be installed on a tripod.